The William M Thomas Planetarium has a Chronos star projector from GOTO and a SciDome all-dome video system from Spitz installed under a Spitz premium-seam 36-foot dome. Individual seating for 72 people all facing toward the same direction under the largest dome (36-foot diameter) in all of the Central Valley. Watch this video description of planetarium, its history, and what it's like to work at Bakersfield College. 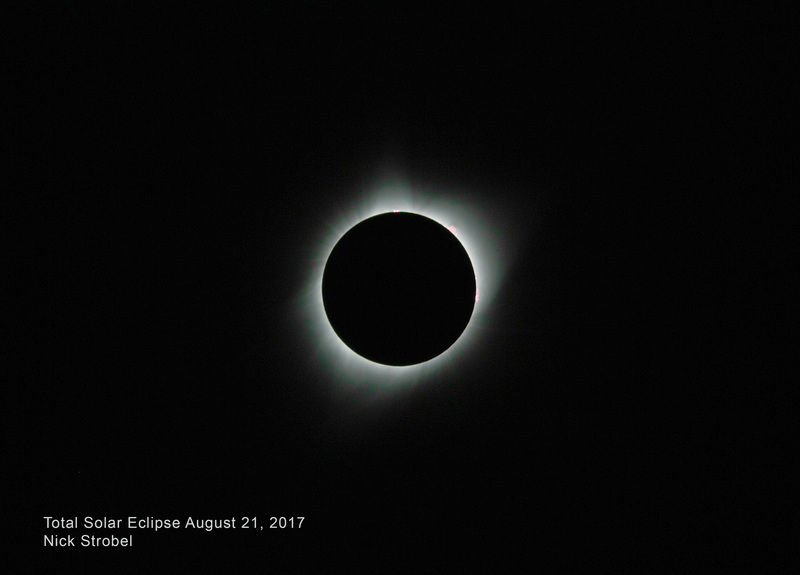 (Left) Total Solar Eclipse Aug 2017 (no solar filter needed during totality). 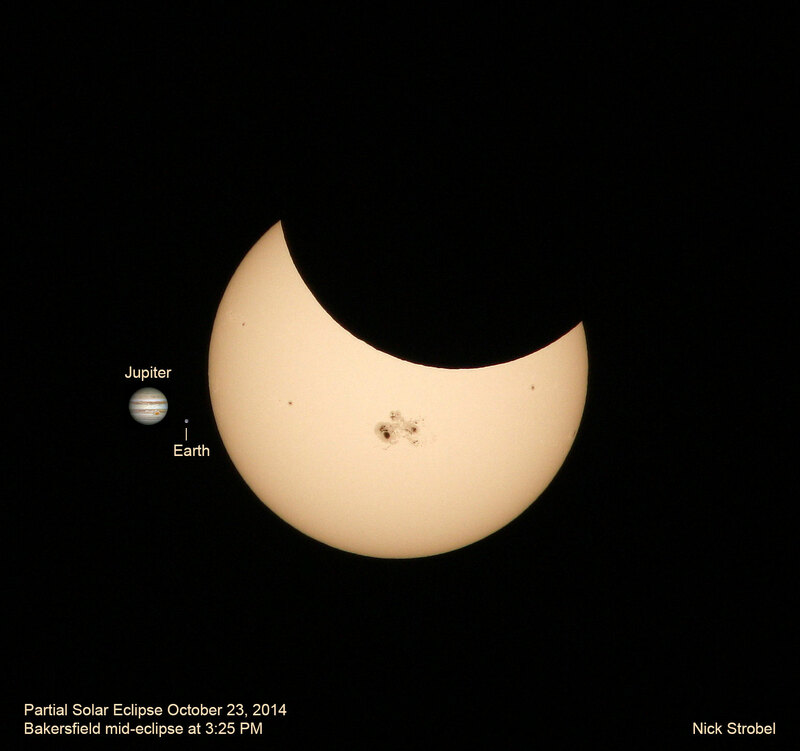 (Middle) Oct 2014 Solar eclipse with Jupiter and Earth for scale. 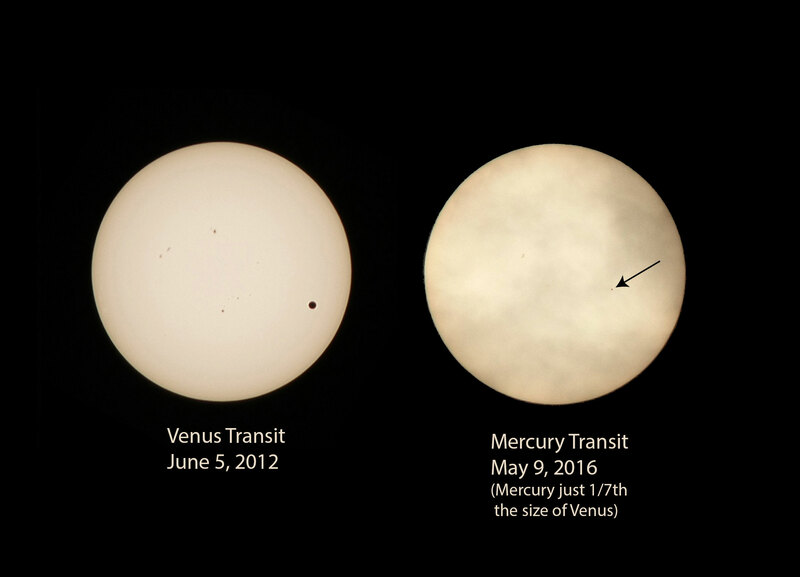 (Right) June 2012 Venus transit vs. May 2016 Mercury transit. Select images for a larger version. Opened in the fall of 1962 (and formally dedicated in early January 1963 with the name "Bakersfield College Planetarium"), the William M Thomas Planetarium in Math-Science 112 has provided shows for over 4,500 K-12 students per year. The B.C. astronomy and physical science classes also use the planetarium at selected times during the semester. View an animation of the transition from the old planetarium to the new planetarium. The upgraded planetarium was named after Rep. Bill Thomas and dedicated on November 2, 2006. Congressman Thomas directed the $1 million in federal funds needed to move the planetarium into the 21st century. See this short video for more about the remodel.